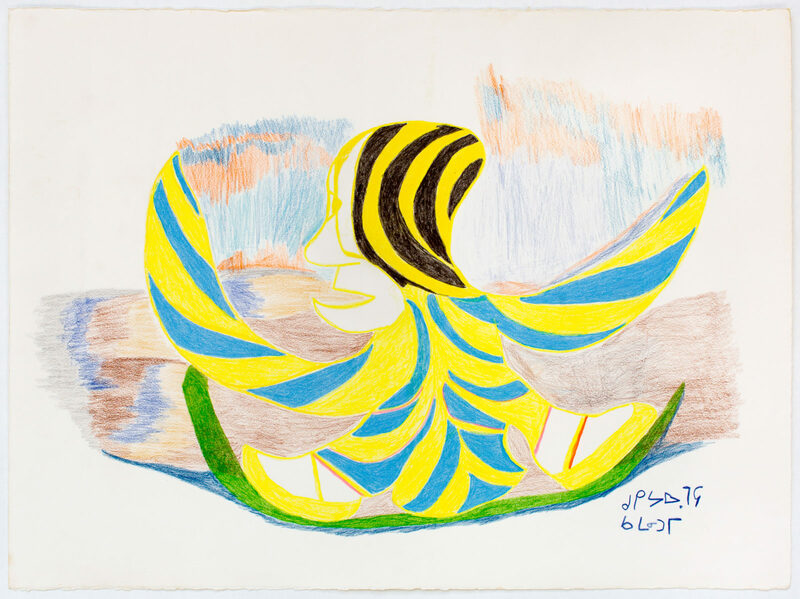 untitled (abstract figure), color pencil, paper, 22 x 30 in. 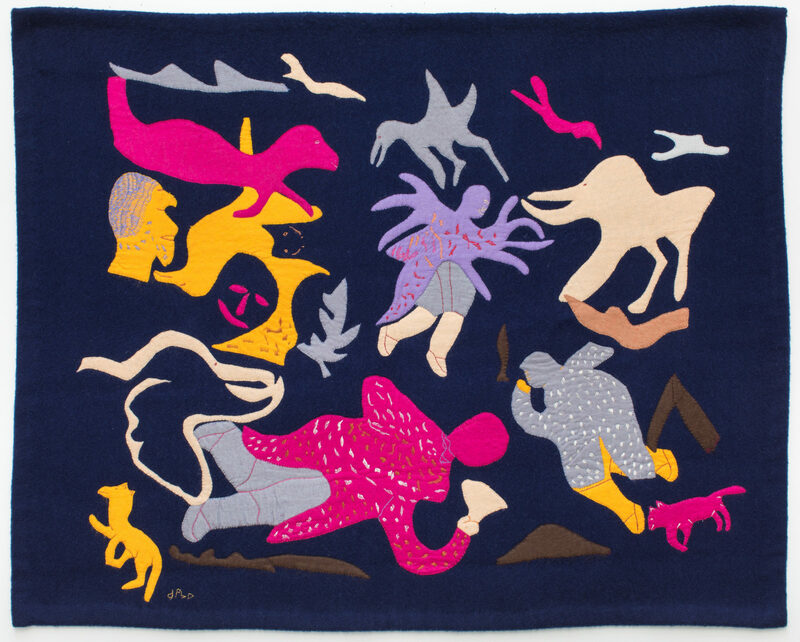 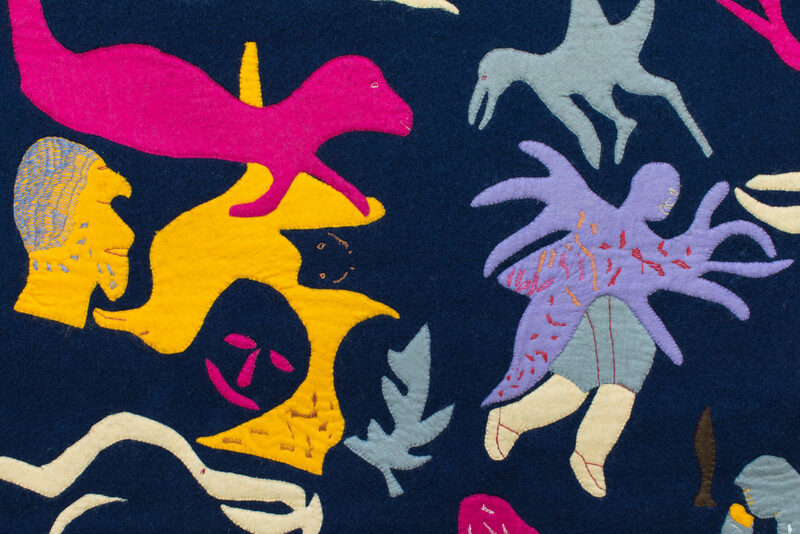 untitled (dream scene), 1989, duffel, felt, embroidery floss, 36 x 45.5 in. 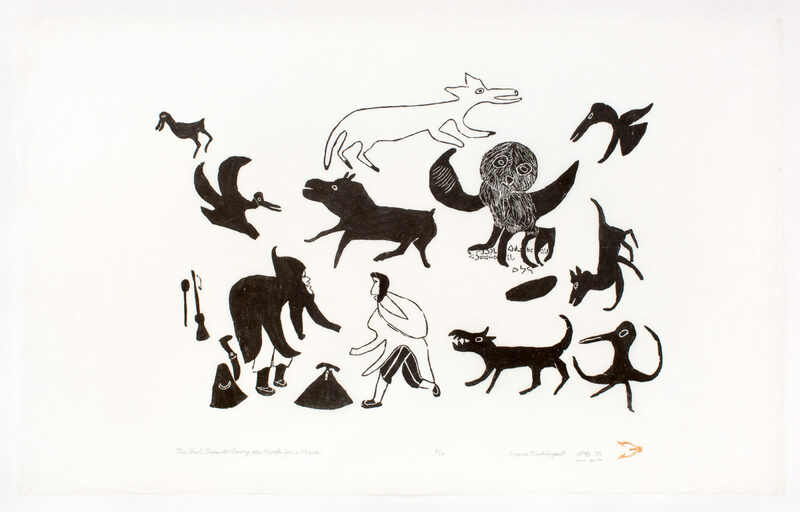 The Owl Tries To Carry The Rock For A Perch, 2006, 8/20, stonecut, paper, 24.5 x 39 in.